Mike Rhodes knocked in three runs in this July 1988 Gulf Coast League game and those three runs proved the difference, according to The Sarasota Herald-Tribune. Rhodes' Yankees went on to win that game 8-5, Rhodes' three RBIs coming on two hits, The Herald-Tribune wrote. Rhodes knocked in those runs in his first professional season. He ended up getting into just two more. He never made AA. Rhodes' career began that year, taken by the Yankees in the 28th round of the draft out of the University of Houston. At Houston, Rhodes played in 1987 and 1988. He tied for his team lead in home runs in 1988 with nine. 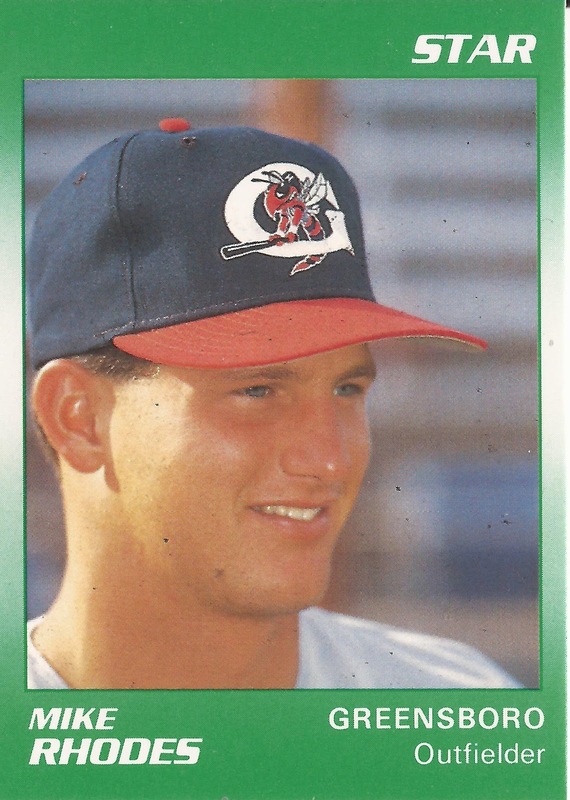 With the Yankees, Rhodes started in the Gulf Coast League. In 57 games, he hit .318. He also hit two home runs, knocked in 41 and stole 15 bases. Rhodes moved to single-A Fort Lauderdale in 1989. His average, though, dropped to .214 in 59 games. He had an RBI single in late April. He singled and scored in a June game. By the end of June, though, he was headed home to Houston to take a marketing job, according to The South Florida Sun-Sentinel. By 1990, Rhodes was back with the Yankees. He got into 31 games at single-A Greensboro. He hit .213, with one final home run. It was his last year as a pro.